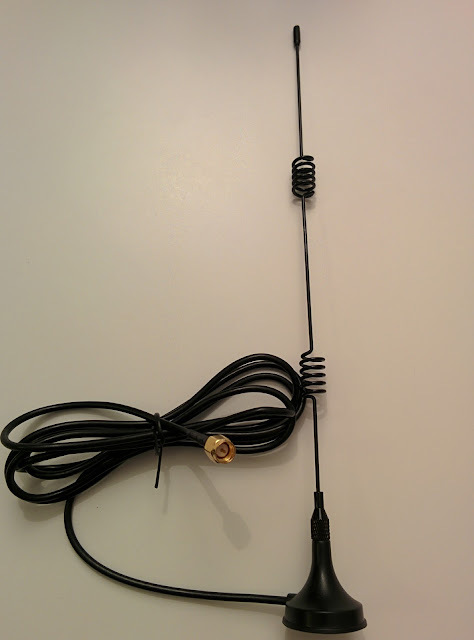 Finally the new 7dB antenna arrived. Since the new antenna has a 3cm magnetic mount I will try to put it on top of the car for better coverage. I can connected it to the gateway or to the ESP8266 Lora module from Dorji.com.